Wix 2019 review - Why 5 stars? 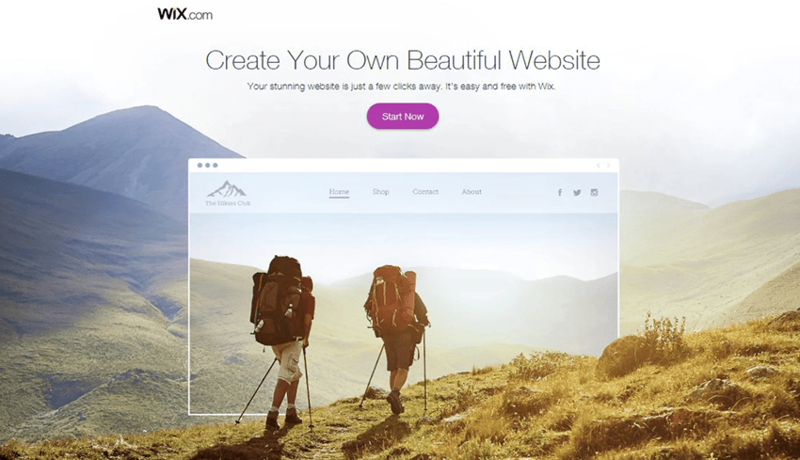 Wix offers a drag-and-drop website builder perfect for beginners. 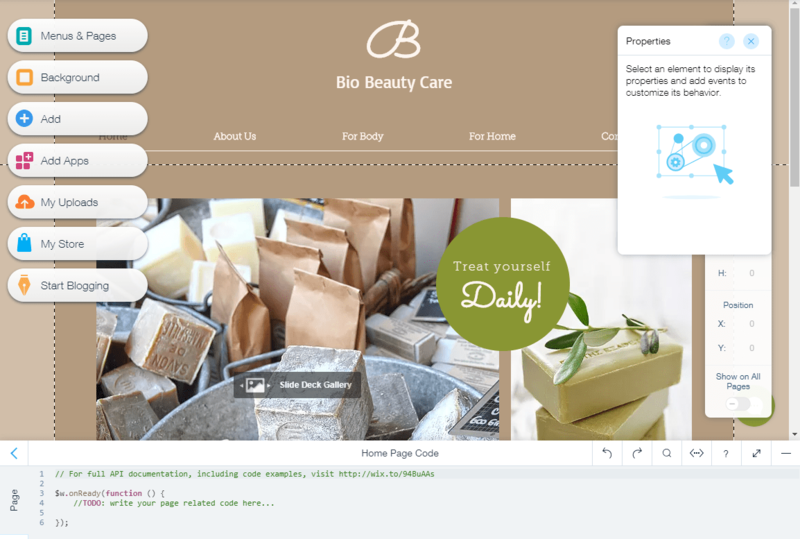 Features such as robust e-commerce tools, email marketing, and a library of over 500+ professionally designed templates set the website builder apart from most others. However, no website builder is a perfect fit for everyone. And if you’ve done your research, you’ll know that Wix has had its share of problems in the past. SEO issues and the inability to use custom code to extend a website’s functionality, for example, have been roadblocks for previous users. Will they be problems for you? Additionally, if you’re currently using or thinking about using Wix’s free plan, you might find it too limited if you have any kind of ambition for your website. This begs the question: Are Wix’s premium plans worth the money? Another important issue is whether you can count on support to reliably answer your questions. Wix claims to be a dynamic and user-centric platform that swiftly addresses user concerns. Is this truly the case? Ultimately, as you weigh the pros and cons, you’ll see whether Wix is the right website builder for you. 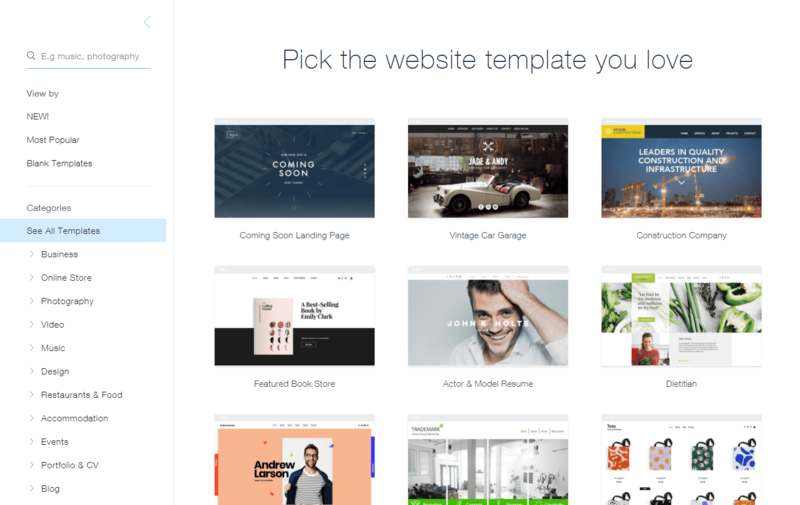 Wix has one of the largest template libraries in the industry, with over 500 customizable templates. They are free, but a few templates (mostly e-commerce templates) do require you upgrade to a paid plan. The template library is split into 16 different categories, and each group is divided into subcategories. Primary categories include music, video, events, blogs, portfolios, and even landing pages. If you’re looking for targeted templates, you can find them under subcategories. For instance, specialized templates in music include designs for bands, solo artists, DJs, and general music-industry templates. Once you’ve selected your template, you’re taken into Wix’s website editor. It’s a fully dynamic, drag-and-drop style WYSIWYG editor, meaning you can see how changes look while editing. On the left sidebar, you’ll find options for menus, backgrounds, uploads, bookings, blogging, adding elements, and adding apps. When you add an item to your website, it’s placed directly on the page you’re currently working on, and you can then drag and drop it wherever you like. To edit added elements, click on them to access their menu. If you need to add extra functionality to templates, just click on Add Apps to access the Wix App Market. There, you can select from a large number of applications to boost your website’s features. For example, you can include apps for forms, e-commerce stores, and payment processing. These templates offer excellent multimedia functionality, allowing you to add video, high-quality photos, and even video backgrounds. There are two downsides to these templates. The first is that they’re not truly responsive. They come with a mobile template version that you must modify for mobile users to view your website correctly. While there are tools such as the Page Layout Optimizer that will help you edit your mobile website quickly, it’s still an extra step that some builders don’t require. Second, once you make your template selection, you’re locked into that template. Wix does not allow you to switch between templates like other website builders, such as GoDaddy’s GoCentral builder. If you want to change your template, you must completely rebuild your website. Your posts and other data don’t transfer over. Choose carefully or be prepared to start again from scratch. Considering that Wix strives to help beginners create attractive websites with its drag-and-drop builder, you may not expect it to offer many value-added features. Luckily, Wix provides numerous advanced features you won’t find on other website builders. A few years ago, Wix was one of the worst builders for SEO, but things have changed dramatically, to the point where the platform has become one of the best website builders for SEO. You don’t need to be an SEO expert to get your website to rank well, as Wix does much of the work for you. Wix’s “SEO Wiz” gives you step-by-step instructions on how you can improve your SEO and help it rank better on Google. Also, there are multiple apps in the Wix App Market you can use to boost your SEO. Of course, if you already have some SEO experience, you can modify your SEO directly in the website editor. You can customize the SEO of your webpages, photos, videos, and other elements of your website manually. Wix also provides SEO tips in its blog, allowing you to educate yourself so you can become proficient. Want to add features to your website such as advanced photo galleries, blogs, or e-commerce tools, but don’t know how to code? No problem! 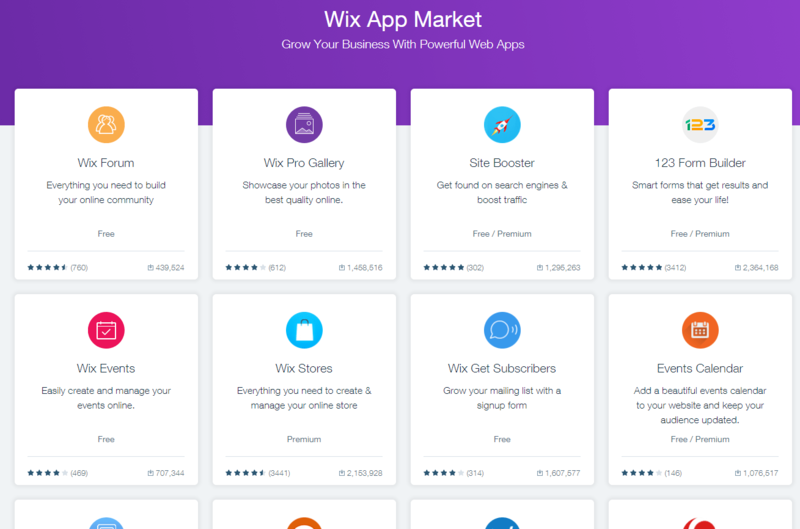 Wix’s App Market offers hundreds of tools that will quickly boost your website’s functionality. You can either search for the type of app you need or browse through categories to gain inspiration. The App Market has apps for blogging, bookings, music, online stores, photography, and more. There are numerous free tools available, along with premium tools that will add advanced functionality at a reasonable price. If you’re looking to develop an e-commerce website, Wix provides 100% commission-free e-commerce plans that include all the features you need to maximize sales. It has e-commerce-specific templates along with a variety of store apps that will help you build your website quickly. While many website builders offer email accounts, most will limit their use to basic sending and receiving; email marketing is often blocked. Fortunately, Wix has several plans that include email marketing. The VIP plan lets you send up to 50,000 emails and 10 email campaigns per month, while the Business Unlimited and Business VIP plans allow you to send up to 100,000 emails and 20 email campaigns per month. Wix’s email marketing platform is called “ShoutOut,” and it gives you the tools you need to make professional-looking emails with customizable styles and templates. Like the website builder, you can easily create emails to further promote your brand. Stat-tracking is also included, allowing you to determine the success of your campaigns. If you want even more help to create and design your website, Wix offers its own artificial design intelligence, called Wix ADI. When creating a new Wix website, you can choose to either go the traditional route by picking your own template and then customizing your website using the Wix Editor, or you can let Wix ADI do most of this for you. Wix ADI will ask you questions and combine your answers with its own design algorithm and your publicly available social media profile to design a personalized website for you. These websites are usually crisp and clean in design, and all of them are mobile-friendly and customizable, although to a lesser extent than Wix Editor websites. You can convert Wix ADI websites to Wix Editor websites for more customization freedom, but you can’t convert websites the other way around. Have an idea for a killer logo but don’t want to pay high logo design fees? Wix has a proprietary logo maker that you can use to create a professional logo for your website. Just answer a few questions about your logo and Wix will make suggestions regarding style, colors, and more. You can edit every element of the logo, including text, shape, colors, and more. Once you’ve created your logo, you can then incorporate it directly into your website. Best of all, you own the rights to the logo and can use it for business cards, stationery, and more. If you’re a beginner, you’ll probably appreciate Wix’s dynamic drag-and-drop editing tools. Add only the features you need and drag them to where you want them to appear on your website. There’s no coding needed to add items, and you can access customization options just by clicking the element. Creating your mobile website is easy, as a mobile version is included in your template. Just click on the smartphone icon and modify your mobile design. However, one thing you should know about how Wix handles mobile websites is that while changes to your desktop website are translated to your mobile website, this process doesn’t go both ways. Changes you make directly to your mobile website affect only your mobile website. The reason for this is so that you can tailor your mobile experience and fix any issues in terms of sizing on specific devices without affecting your desktop website. If you need additional help, remember that you can always opt to use Wix’s Artificial Design Intelligence (ADI) feature. Just answer a few questions about your website, and Wix will create it for you. You can then modify the website using available tools — no need to hunt through hundreds of templates or be a design genius, as Wix takes care of that for you. For more features such as customized forms or live chat, visit the Wix App Market. Search for what you need, such as “Photo Gallery” or “Social Media,” and you’ll be presented with all the options, along with their rating and whether they’re free only or also have a premium (paid) option. Wix offers decent support, but a couple of areas need improvement. The primary support tool is the interactive Help Center. You can search for your answer or browse through the available category menus. Common questions are often answered in numbered, easy-to-follow steps. For example, the guide on how to add and change gallery images gives you six straightforward steps to go through. In some instances, video tutorials are available as part of the solution. If you need additional assistance, you have two options. The first is to submit a ticket, and a Wix agent will give you an answer “as soon as possible.” This is one area that could be improved, as they should provide some form of estimate as to when you’ll hear back. I contacted support through their ticketing system and received a response in about 45 minutes. Support was very knowledgeable and answered my question thoroughly. However, on a separate occasion, my ticket request was left unanswered. Your second option is to request a callback from a Wix support agent. The callback service is available from 5am to 5pm U.S. Pacific Time, and a support agent will return your call within five minutes. Phone support is available in English, Spanish, and Portuguese. However, especially during peak hours, an agent may not always be available. When you have an urgent issue, you’d probably prefer to immediately call support yourself. Unfortunately, you can only wait in hope for an agent to call you back sooner rather than later. On the other hand, the upside is that you’ll be saved any call charges, and you don’t have to wait around while listening to elevator music. While these support options are good, they’re not the easiest to find. There are no direct links to submitting a ticket or requesting a callback. I had to search the Help Center on how to contact support before I could find a way to reach them. Still, this isn’t enough, as clicking the link will take you to the webpage below. Here, you need to once again answer more questions about your problem before being presented with the most relevant documentation and a link to actually contact support. Another downside is that Wix doesn’t offer live chat support. That’s a bit disappointing considering the level of support provided in the support documentation, as well as the popularity of their website builder. Their support structure needs to be updated to make it easier for beginners to get help. A simple link for contacting support would be a great start. While free callbacks, superb documentation, and ticket requests are helpful, the level of Wix support overall is not amazing considering that other builders like Weebly, Site123, and GoDaddy offer the immediacy of live chat. Nothing beats being able to talk with your support rep in real time, with quick responses basically guaranteed. Wix offers six different plans. The free plan is very basic and requires that you use a Wix subdomain. It will also display Wix branding on your website. To unlock your website’s full potential, you must upgrade to a paid plan. For basic websites, the Combo plan is a good start, with 3GB of storage and 2GB of bandwidth. This plan is great for individual websites, blogs, or small-business websites. However, the strict bandwidth limit will keep you from really growing an audience. You can also upgrade to 10GB of storage and unlimited bandwidth with the Unlimited plan. Upgrading to the VIP plan will enable you to run ten email campaigns and put you in line for VIP support with priority response times and top-notch customer service. The VIP support could be crucial if your website is very important to the operation of your business. If you want an e-commerce website, you’ll need to upgrade to one of the business plans. All Business plans offer online payment systems, with 100% commission-free sales. Business Basic is great for starter online stores, with 20GB of storage and $300 in ad vouchers. Business Unlimited gives you 35GB of storage and email marketing tools to send 20 campaigns and up to 100,000 emails every month. Business VIP is the top plan, with 50GB of storage and 30 video hours. You also get priority VIP support. The ability to run email campaigns is crucial for ambitious e-commerce websites that want to target their customers and convert more sales. For larger stores, any downtime or issues can greatly affect your bottom line, which makes priority support business-critical. All plans come with a free domain for one year, as well as a 14-day money-back guarantee. *Pricing and available plans may vary depending on your country of origin. Go to the pricing section of Wix’s website for complete pricing details. Not currently offering support for Ipad type display so the main site needs to be tweaked to ensure everything displays on the pad. Form templates (e.g. Contact) are not customisable so can be a pain to fit in if space is tight on your site, which is a pity because everything else on offer is excellent. It does a lot, but it doesn't build true responsive websites. You have to edit the desktop and mobile layouts separately, and there are weird incongruencies between the two. The cloud-based builder is laggy, and you can forget about touching the code.Honestly, it's geared more towards people looking to build simple sites without any coding knowledge. Definitely not for professional website builders.Oh, and it's not cheap. I've currently got three websites with Wix each looking very great running on a budget but my websites cost very little per month.Also, great for the seo options. I am trying to construct a web site from scratch starting with a blank page. I have chosen to use the Shutterstock images rather than those that are free of charge, because of the much wider range and better quality. As I am likely to end up using considerably more than the average person, it came as quite a shock to discover that they will not let me experiment with them before making a non-refundable purchase of every one I take an interest in. Obviously, once my site is finished and I have made my final choice, I will then pay for the images included on it. I have raised the issue with them but they refuse to budge an inch, just insisting that I must pay for every one I 'play' with without any prospect of a refund (or an exchange with another image for that matter). You can understand my anger and disappointment!!! Shame, as I had been impressed with other aspects of the site. I upgraded to WIX Business Unlimited Annual Plan (e-commerce plan) at 50% discount, only to figure out I needed further upgrades ($44/month) to enable e-commerce on the 123Forms. 123Forms is advertised as a benefit of Business Unlimited Annual Plan. I spent 4 days trying to figure out how to make e-commerce work with their e-commerce plan, and then gave up. I wrote to WIX asking them to downgrade me to Entrepreneur Unlimited Plan at the same 50% discount at which it was available 5 days ago (which is when I had purchased the Business Unlimited plan).They plainly refused saying that discount does not exist anymore. In my opinion their Business Unlimited plan is an eye wash to get users to buy further upgrades. Also, WIX don't show me the $5/month (most basic plan) to downgrade to when I am signed in. I see this plan when I sign out. I did not expect this from WIX and am planning to move to their competitor. Wix has carved out quite a niche for itself to become one of the top website builders in the industry. It’s perfect if you have zero coding knowledge, or if you’re a beginner webmaster looking for easy-to-use website tools. Ease of use is the main advantage of using Wix. Features can be added quickly, and even advanced features such as email marketing and e-commerce development have apps that make Wix’s functionality comparable to more complex website builders like WordPress. The main drawback to using Wix is that they don’t offer any immediate support via live chat or by providing a number you can call. You’ll always have to submit your request and wait for a response. This can be frustrating, especially for beginners whose progress is halted until a support agent reaches out. Another big drawback, which you might not expect from a platform as well-established as Wix, is that your templates are locked in once you choose them. This makes it difficult to do a complete website redesign. For the average webmaster, this won’t be a problem, but make sure you really want the template you choose, as you’ll have to start over if you change your mind. 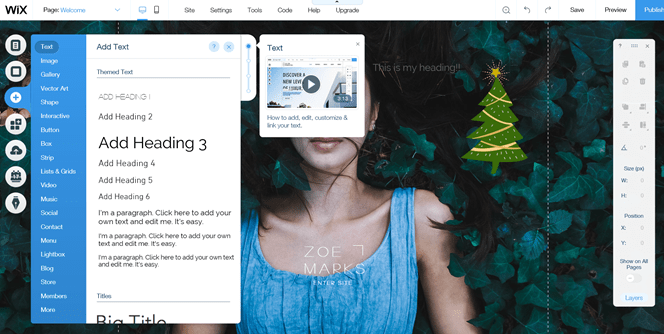 A final disadvantage, though perhaps relatively minor, is that Wix doesn’t allow you to add custom CSS or edit the existing stylesheets, which is the easiest way to make completely custom changes. Webmasters have to start somewhere, and despite these disadvantages, Wix is a great place to build your first website. It allows you to create a professional-looking website without having to hire a professional. Wondering how Wix stacks up against other Website Builders? Enter any other Website Builder and we will give you a side-by-side comparison.